Now that we’re 13 days into the new year, it’s time for me to actually PLAN what I’d like to accomplish this year, my 2017 goals, if you will. Every time I think of goal planning, I remember the Bible story of the man who has an incredible year farming and his bars are overflowing with his harvest for the year. Without taking his requests to the Lord or including the Lord in his planning, one night before bed he says he’s going to build more barns because he figures his wealth and fortune will continue. But, because he didn’t take his plans to the Lord, God took his life that night. (check out Luke 12:13-21). The moral of the story is that I need to take all ideas to the Lord. I need to pray on them and if it’s God’s will, He’ll make the way for the goals to happen. Memorize at least 2 Bible verses a month. God’s Word, once written on our hearts, will stay with us forever. That’s what I want most – a closer relationship with God. Start an IF:Table here at my home. If you haven’t heard of the IF:Gathering, then check out their website. The IF:Table is an extension of the IF:Gathering where a small group of women gathers together for a meal and fellowship, sharing God’s Word and really connecting with each other. I would love to start one of these at m home. More intentional in my prayer time and really pray for people when I say I’m going to. Prepare Lauren for dual-enrollment classes next year. This will be our year of preparation for her – taking the SAT, completing her transcript, figuring out (with her), what her plan of action will be to graduate high school. Get our new garden set up. Since we just moved last August, we have not set up our new garden yet and that’s one thing that I really want to do this spring. I love gardening and hope that we can set it up before too much more time passes. Create new ways to decorate our home without spending too much money. My hope is to have window treatments on all the windows by the end of the year. Spend less money eating out. We eat out a LOT so this year I want to spend more time cooking dinner and having sit-down family meals together, especially since this is James’ last year in high school. There’s no telling how things will be later this year when he starts college. I think that’s it in a nutshell. I really just want to be into God’s Word more, to be more evangelical with others and to share God’s Word with others, even if it’s in a small group at my home. Looks like you really have some great plans for this new year. I love the idea of the IF:Table! Thanks for the link, I look forward to looking into it. Thanks, Catherine. I’m really hoping that I can do this. I keep thinking of people I could invite but I’ve finally decided I’ll simply open the door with invitations and see who the Lord brings to the table. 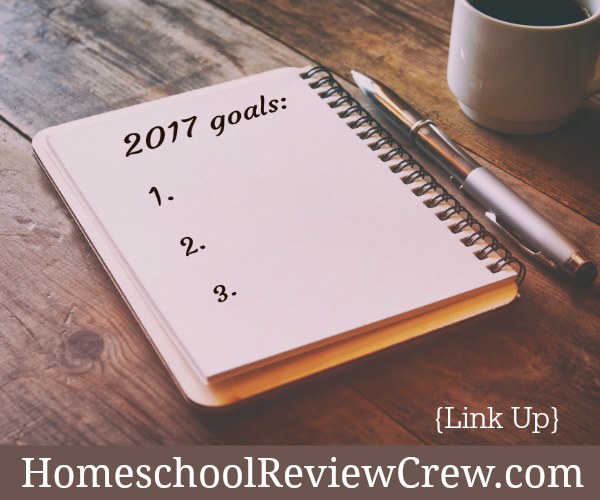 This is a great list of goals! We used to eat out all the time, but we stopped after we got a lot of food intolerances. Now we’re used to cooking at home. It takes some adjustment, but I know we’re healthier for it. Can’t wait to see an update on your goals and how you’re doing!